I’m going to share a little home decor tip with you that I’ve been doing for years. I Velcro my wall hangings to my walls to keep them perfectly level no matter how many kids are running through the halls! Get yourself some sticky back Velcro and a level. I find smaller levels easier to manage for projects like this. Decide where you want your picture to hang, and hammer your nail into the wall. Fasten one set of Velcro squares together, with the hook and loop closures facing each other, and the sticky backs on the outside. Adhere this to the bottom center of your wall hanging, with one sticky side adhering to the back of your frame, and the other sticky side face up. Be sure your Velcro is placed high enough up on the back of your frame that you will not see it from the front once your picture is hanging! Hang your picture onto the wall, keeping the bottom of your picture lifted up slightly from the wall so the Velcro does not yet adhere to the wall. Place your level on top of the picture, adjust your picture until it is perfectly level, and then press the bottom of your picture into the wall, adhering the last sticky side of Velcro onto the wall. One of the best parts of this simple trick is that if you discover your wall hanging isn’t quite level after you adhere your Velcro square to the wall, simply pull your two Velcro squares apart (leaving one on the wall, and one on your frame) and readjust! The print I was hanging in the photo collage above had a wide opening for a nail, so the top of the print shifted around on the wall, too. To prevent that from happening, I simply cut a set of Velcro squares in half and used them at the top of the frame to keep it from moving. This is typically not necessary, but it’s a good option to know about. Please note: The Velcro may slightly damage your wall when you decide to remove it. (I’ve used this technique at least a hundred times and experienced paint coming off when I removed the wall Velcro only a handful of times.) The damage is surfacey (like that that of a nail or screw hole or what you sometimes see from 3M hooks) and can easy be patched and painted over. However, because of this, I would encourage you not to use this technique until you’re sure that’s where you’d like your picture hung. This is such a quick and easy way to keep prints nice and level that I’ve done it with almost every wall hanging in my house (like the 12 mirrors I have hanging in my entryway) and at my office! Before: Off kilter wall hangings that drive people with high attention to detail (like me and my daughter) absolutely crazy! After: Perfectly level wall hangings! Now we can all sleep at night. 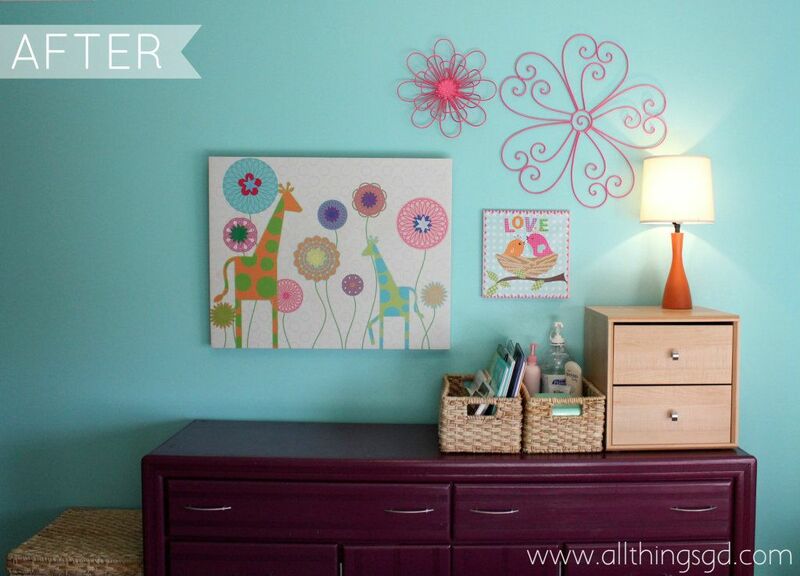 What are some of your favorite home decor tricks? Think you’ll give this quick and easy one a try? 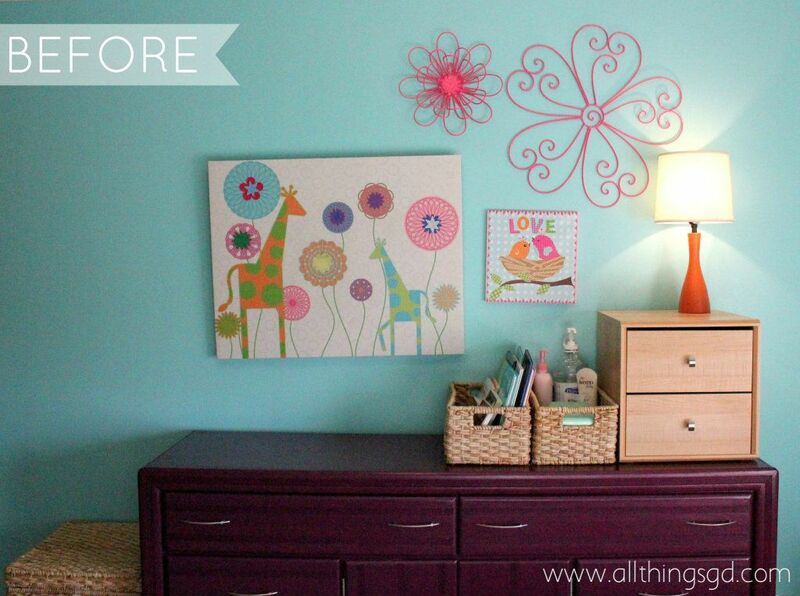 3M makes Command Strips of Velcro that you can use to keep wall art straight or even just to hang your wall art. It comes off later WITHOUT damaging your walls at all! It may be a little more expensive than just buying regular Velcro, but worth it to save damage to your walls! Great tip, Dawn! I used the 3M Command hooks and sticky strips a lot, but unfortunately still have wall damage sometimes. I had no idea they also made Velco strips, but I’ll definitely be checking them out now! Pretty much need to do this. I have one picture in particular that I am ALWAYS straightening. WHY DOES IT DO THAT?! Velcro here I come :)) Great idea. Great tip, Jenne – thank you! I was doing a gallery wall in my upstairs hallway. About 8 pictures in, with maybe a few more nail holes to get it “perfectly spaced”, I went out and bought the Command picture hanging strips. It saved my sanity! I’ll check those out the next time I’m hanging pics. Thanks Sara! I use tacky putty, i.e., bluestik. You can get it at any office supply store for around $3, and it does not have the problem of ruining walls when removed. Another great suggestion! Thanks Kim! Love this idea. Thanks for the simple tip, Dusty! My pleasure, Lisa – so happy to hear you found it helpful!